You own a Windows Phone or an Android device; you’re happy. But then the urge takes you, and you decide to finally buy an iPad (or you received it as a gift 6 Reasons To Buy Your Girlfriend An iPad 6 Reasons To Buy Your Girlfriend An iPad A little over 3 years ago, my boyfriend (together with my family) bought me an iPad. It was - and still is (I use it to this day) - a first generation iPad, and the... Read More ). Or the news comes from above – your company has bought a load of iPhones, and you’re getting one. How will you get your data from Android or Windows Phone onto your iOS device? Thanks to the CardDAV protocol, you can easily migrate your contacts from Android to iPhone. On your Apple device, open Settings > Mail, Contacts, Calendars > Add Account… and select Google to enter your Gmail account. From here, enter the username and password from the Google account you use with your Android device. Finish by tapping Next, then ensure that Contacts is set to On. Once this is done, your contacts will be downloaded to your iOS device, and you’ll soon find everyone is available to call, text and email. Transferring contacts from Windows Phone to iPhone is very simple. The first way, and possibly the easiest, is to open Settings > Mail, Contact, Calendars > Add Account… and select Microsoft Exchange. Here, enter your Windows account credentials, the same ones you use with your Windows Phone. In the Server field, enter m.hotmail.com and then tap Next, ensuring Contacts are On. A few moments later, the data should be transferred. If you have data that needs to be copied from your Windows Phone, the best option is to use the OneDrive app for iPhone. As OneDrive (previously known as SkyDrive Facebook WhatsApp, SkyDrive OneDrive, Yahoo Siri, Apple Tesla [Tech News Digest] Facebook WhatsApp, SkyDrive OneDrive, Yahoo Siri, Apple Tesla [Tech News Digest] Facebook buys WhatsApp, FCC responds to the loss of 'net neutrality', SkyDrive becomes OneDrive, Yahoo wants its own Siri, Apple is interested in Tesla, and Samsung mocks Apple in its latest set of television commercials. Read More ) is already built into Windows Phone 8.1, all you need to do is install the app, sign-in with your Microsoft credentials, decide what you’d like to sync and wait for the data to download to your iPhone. If you’d rather use Dropbox, simply install the iPhone Dropbox app — after all, it’s one of the must-have apps for iPhone Dropbox - One Of The Must-Have Apps If You Own An iPhone Dropbox - One Of The Must-Have Apps If You Own An iPhone Ever since I went over to the Dark Side earlier this year to get my cookies and buy an iPhone, one app has been completely invaluable to me - Dropbox. In fact, I would go... Read More . 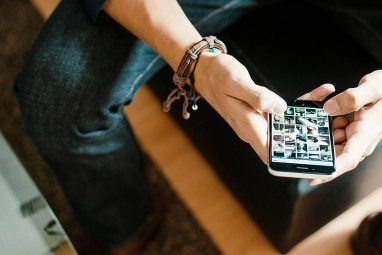 Similarly, to transfer your media data and files from Android to iPhone, use Google Drive or Dropbox (or whatever your preferred cloud storage app was on Android – as long as it is also available on iPhone). Should using cloud storage not work, use iCloud. Linked to the Apple account you created when you setup your iPhone, iCloud is a cloud storage system, like Dropbox, Google Drive or Microsoft OneDrive, and like these services there is also a desktop app for Windows and Mac OS X that you can use in conjunction. Along with photos, music and documents, iCloud also syncs contact data between your devices. You’ll need to be running iOS 8 (we have 10 reasons why iOS 8 Is Here: 10 Reasons to Install It Right Away iOS 8 Is Here: 10 Reasons to Install It Right Away If you own an iPhone, iPad, or iPod Touch, you'll want to upgrade it to iOS 8 as soon as possible. Here's why. 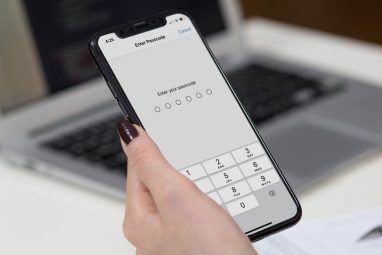 Read More ) so open Settings > General > Software Update to ensure your iPhone or iPad is up to date, and when this is done visit Settings > iCloud, where you should enter your Apple ID. After this, install the iCloud Drive app, as explained in our guide to accessing iCloud from any device How to Access and Manage iCloud Drive Files From Any Device How to Access and Manage iCloud Drive Files From Any Device iCloud Drive is a handy tool, but accessing your files can be a little confusing since Apple's cloud storage experience really differs depending on your platform or device. Read More . Used in conjunction with the Windows Phone desktop app Configuring a New Windows Phone 8 For Syncing To Windows Configuring a New Windows Phone 8 For Syncing To Windows Read More (a version is also available for Mac OS X), you can easily sync your Windows Phone data via your PC or Mac to iCloud. Simply install the version of the Windows Phone desktop syncing app that matches your operating system, connect your Windows Phone device and sync the data from the smartphone to your computer. When this is complete, your media files and data should soon be available on your iPhone or iPad. Don’t Forget Your SIM Card! If you don’t have too many contacts (or too many details for each! ), you can circumvent any migration issues by saving your address book to your SIM card. In Android, do this by opening Contacts > Menu > Export to SIM. However this option isn’t available in Lollipop, so you will need a third party tool to export your contacts to your device SIM. For Windows Phone users, you can save your contacts to SIM via Settings > People > Export to SIM. When you come to insert the SIM card in your iPhone, you’ll need to import the contact data. Do this by opening Settings > Mail, Contacts, Calendars > Import SIM Contacts. Migrating contacts was relatively easy; getting your media onto the iOS device might take longer, although iCloud can help. But what about apps? Well, it’s not good news. Put simply, there is no way to transfer your apps from one platform to another. 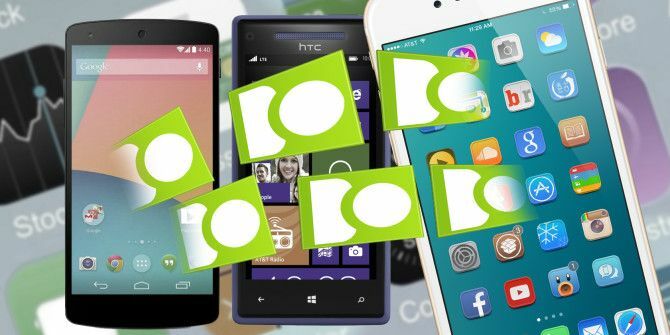 Before migrating from Windows Phone or Android to iPhone you should spend time looking into whether there are any vital apps you can’t do without on the new platform. In most cases they will be, but not always. Keep in mind that you’ll have to pay for any non-free apps and games again, such is the price of switching ecosystems. Most major services have equivalent mobile apps on a variety of platforms, particularly iOS which often sees new apps before Android or Windows Phone does. 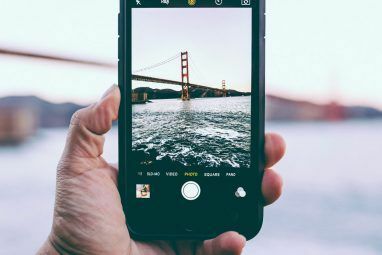 While mobile ecosystems are largely the same in terms of offering the same type of basic apps (mail, Internet browser, calendar, calculator, app store, and so on) you will find that switching to iOS brings some readjustment to how you do things. For instance, Apple’s Mail app doesn’t do Gmail push, instead relying on the standard POP3 method of inbox send and receive (but the iOS Gmail app will fix that). Fortunely though, while the organization of screens differs, on the whole the transition can be very quick from Android or Windows Phone to iOS. Despite the differences between the platforms, it is quite straightforward to switch between them. Even if you’re not all that pleased about the switch (perhaps enforced upon you by your employer), you’ll still have the advantage of trying iOS without paying for it; if it’s really all that bad (it isn’t! ), why not keep your old phone for personal use? Have you switched from Android or Windows Phone to iPhone? How did the data migration go? Are you happier with iPhone? Tell us in the comments. Explore more about: Data Backup, iCloud, Wireless Sync. Happy to hear it helped. To move Android or Windows phone contacts to your iPhone, maybe this discussion would be helpful. As a user of both Android and iOS, I honestly couldn't give you a good reason to switch to iOS. It's fine for secondary devices (an iPad for example), but for a primary device, it's simply too limited; I can do far more with Android. Retrograding is not an intuitive act....kind of like throwing a ball with the opposite hand or learning the habit of spitting between your teeth only AFTER getting your $5,000 braces removed. ...or, imagine yourself as an arm-waving cry-baby, having only come-in at or close to last place in everything that you ever did while growing-up, strive firstly to "picture" how one would act when they have only experienced entitlement like a spoiled child, or the brain damage suffered after "always being picked last on the kickball team" prior to blindly Registering yourself as a Liberal Democrat. There are of course shortcuts- To avoid the seemingly more difficult methods explained above, let alone those illustrated in this Article, one could just dive head-first into an empty swimming pool and like magic, Retrograding to a lessor-self can indeed become IMMEDIATELY second nature....like flunking yourself by engaging in the act of purchasing any and all Apple product(s).